Want to know how to sing? Then come and learn from me and find your voice, find your music, find the fun inside! Barbara Ann Grant is the director of Soundworkz. 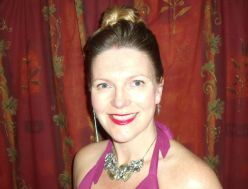 She is a classically trained singer with 30+ years interest in how to sing. Barbara Ann also has an extensive background in training development and delivery in the corporate sector. She specialised in business change consultancy improving team dynamics. An ex-principal consultant with KPMG, she is expert at making positive change happen quickly and effortlessly. She has completed major assignments for Telecom NZ, Henderson Global Investors, AMP, Adecco, NBNZ, ANZ, Barclays UK, Cable and Wireless UK and many government ministries including Foreign Affairs and Trade, Education, Housing and Inland Revenue. Through all of these engagements Barbara Ann retained her enthusiasm for singing, realising that the exploration of how to sing is a wider exploration into how to be the best of what you can be!